Following a rapid response by the WHO in the Democratic Republic of Congo (DRC), the latest outbreak of Ebola is in its final throes. 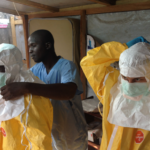 Although the epidemic produced more than 50 cases in the rural district of Ikoko-Impenge, only four Ebola patients were identified from the city of Mbandaka, home to more than one million people. The fear had been that Mbandaka might have fuelled a much larger increase in the Ebola epidemic, which in turn could have facilitated transmission to the DRC’s capital, Kinshasa, some distance downstream. In order to control the outbreak, the WHO shipped in thousands of vials of the newly tested Ebola vaccine: more than 3,200 individuals received the VSV-ZEBOV immunisation, first used during the West African Ebola crisis a few years ago. Furthermore, more than 1,500 contacts of Ebola patients were followed-up for 21 days to ensure that should symptoms occur, they could be quarantined. Active surveillance programmes were initiated that would rapidly alert authorities to new infections, and for those at risk of developing the illness, daily follow-up consultations were organised. It is hoped that this model of Ebola containment will be equally effective in future outbreaks. Although it is often uncertain how these outbreaks begin, begin they will: we can be certain of that. Rift Valley fever is a serious viral infection, first isolated from infected sheep from the eponymous region of Kenya in 1931. Like Ebola, Marburg and Lassa, Rift Valley fever is a disease that can cause severe illness, often associated with uncontrolled bleeding. For this reason it is one of the viral hemorrhagic diseases, many of which are found in Africa. This month an outbreak has recurred in Kenya, affecting 26 individuals, proving to be fatal in six patients so far. The cases followed a report of a patient who consumed meat from a sick animal, sadly the patient died the same day. Two relatives of the patient were later admitted to hospital although it is unclear whether they might have contracted the disease from the patient, or they too had eaten the infected meat. In fact, most cases of Rift Valley fever are caused by humans coming into direct contact with infected animals or animal products, rather than from infected people. Despite the lack of human-to-human transmission, outbreaks can be considerable as demonstrated in 2006 when 278 people were infected in Kenya, killing 25. 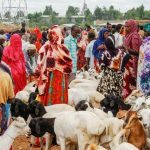 The WHO report that several steps have been taken to contain the present epidemic, including the instigation of a ban on slaughtering animals and a restriction on their movement in affected areas. 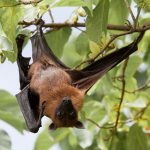 The Nipah virus epidemic in Kerala, India, seems to have been contained. Kozhikode, a district of Kerala, had reported 19 cases of the severe viral infection, which sadly proved fatal for 17 of those infected. As no new cases have occurred during the last month, it is widely hoped that the outbreak has now been controlled. Although Medicine has advanced in many ways to control viral infections, it is still the use of quarantine that is the lynch-pin of epidemic control. More than 2,500 individuals who had come into contact with Nipah-infected patients had been isolated and followed-up to see if any symptoms resulted. Although the number of those affected was modest, there may have been widespread economic effects in the region. Following the announcement that the Nipah virus may have been spread by infected fruit, significant financial losses were reported to have been suffered by both farmers and fruit vendors from Kerala to Hyderabad, hundreds of miles away.